Sue thrives on creativity in many different ways. She writes flash fiction, memoir and long fiction. It's exciting to her to watch the word count grow when she takes a self-made list of characters and brings them to life in a short story or novel. 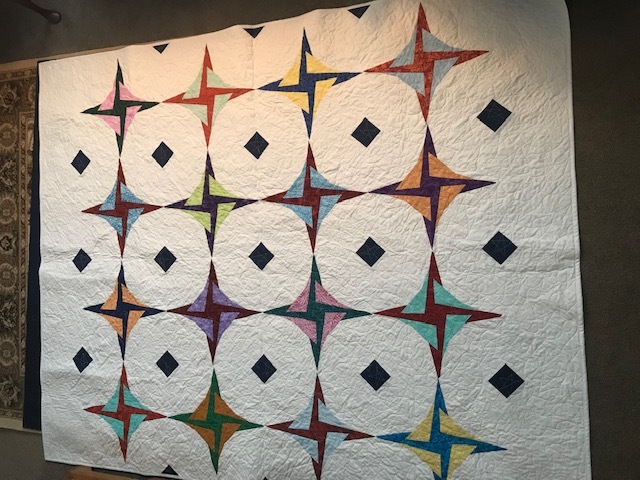 You can also find her taking a bunch of ingredients and turning them into a yummy dessert or picking a quilting pattern, looking for just the right fabrics then cutting that yardage into small pieces to sew back together to make a warm comfy quilt which she often gives away. She is an official senior citizen so has lots of life experiences to draw on that enhance her writing, cooking and sewing. The writing she's still learning new things about, especially how to do it better with fewer tries. 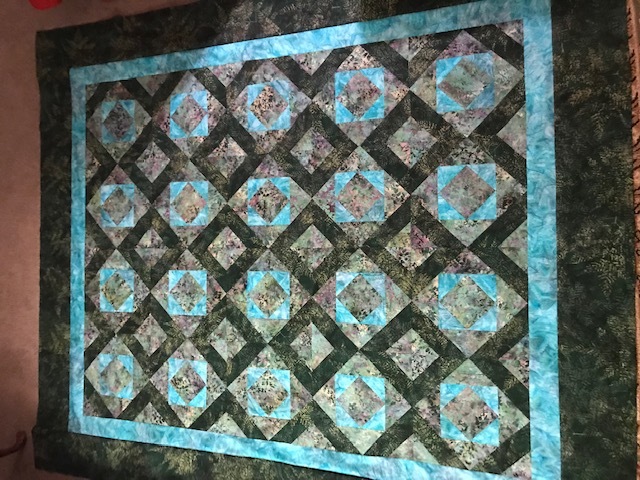 She says the best part of cooking and quilting is when the dish or quilt is finished, it may have mistakes, but it's done. Writing is its own beast. There is always something that can be improved, changed or even deleted to create a better piece of work. Wrangling that beast can be exhilarating and frustrating, often at the same time. Besides belonging to LCRW she leads the Rochester Veterans Writing Group. RVWG is a free group open to any veteran, family member or friend. They gather to write memoir from provided prompts then read aloud their works for suggestions of how to improve it or just share the emotions of military life with others who have been there. She is also active in an on-line international group, Carrot Ranch Literary, where she writes 99 word, no more-no less, flash fiction based on a weekly prompt word provided by Leader Charli Mills. She finds it very interesting to see how many stories are posted and how many avenues the same word can make multiple writers travel. There is give and take in the comments section and she has become digital friends with the participants. She says belonging to these groups has brought new knowledge, friendships and positive support that keeps her interest high in honing her creative abilities. She shares her flash fiction and other musings on Facebook under the pen-name Susan Sleggs.